Palestine is located at the eastern part of Israel and split into two regions: the West Bank and the Gaza Strip. It includes ten major cities. When the area was taken over by Israel in 1967, early Jewish pioneers formed settlements and met resistance from the Palestine people. The Palestinians and nearby Arab states believe that it is not Israel’s right to possess the land. The boundaries between Israel and the West Bank would most likely change if any peace negotiations are met, as anger between the two nations have existed for many years. There have been many proposed solutions. In a two-state agreement, some of the Israeli settlers would leave the West Bank while some fringe settlements would become Israeli land. In return, Israel would give over some of its territories to Palestine. This deal is commonly known as the “land swap deal,” but it is not an active plan. Currently, there are no plans for new land boundaries between the Palestinian and Israeli people. Even with the current civil unrest, Palestine has many attractions and is an enriching travel experience for the most adventurous and daring. For security reasons, the best way to travel through the region is by contacting the Palestinian Territory tour guide agencies in West Bank. When you arrive you will find taxis, some stalls selling fresh fruit juice, and guide available for hire. Once there, you will notice clear indicators of the civil unrest in the area (Israeli West Bank Barrier) as well as see the writings and murals on the walls telling the people’s story. 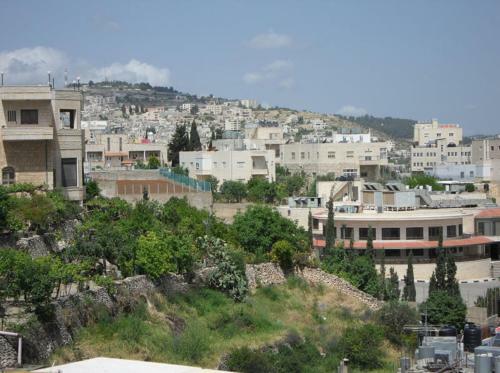 You can also visit a UN refugee camp (which has housed people for more than 40 years), see the Church of the Nativity, and the old center of Bethlehem. Along the way, make a stop at the beautiful Greek monastery of Mar Saba. Then wrap up your tour of Palestine by visiting Bethlehem and learning about the political and civil history and struggle of West Bank. You’ll find that this travel plan is safe as well as enjoyable. The Mar Saba Monastery is a paramount attraction. When visiting Palestine, make it your first stop. This landmark is only accessible with a tour guide. The site is a good way to learn about the religious and cultural history of Palestine. From the monastery, you can take the steps leading down to the river. This will give you the chance to enjoy different views of the monastery and the valley. To reach this site, take a taxi from Bethlehem and arrive at the Mar Saba Monastery, located in the middle of the Judean desert. The landscape is very impressive; a mix of desert sand and stones, with a blinding sun that makes everything stand still. You’ll see caves where hermits lived and also see the beauty that is the Monastery. The view from the Tower of Women is breathtaking; the desert, the Kidron Valley, and the river Kidron are also worth checking out. From a historical point of view, the monastery dates back to the twentieth century and was rebuilt after several attempts to destroy it. Only men are allowed inside the monastery - women must stay outside under the olive tree and wait for their male companion. The Basilica of the Nativity is the primary attraction of the town of Bethlehem. Built in the 339 AD, it looks more like a fortress than a church. The nativity has a low ceiling, and you must stoop to feel or kiss the exact spot of Jesus’s birth. According to one theory, it was made this way to force the incoming spectator to bow. Another theory is it is because the Crusaders found it easier to defend the temple this way. Inside the temple, the surroundings are somber. Altars with religious icons adorn the walls, located under a roof of wooden beams and rafters. However, it is clear that the building has a different history. Under the wooden beams, on the floor and parts of the walls, you can see the fragments of old Byzantine mosaics. The altar itself is decorated with chandeliers, icons, and crucifixes. The Church may not be ornate, but it is the symbolic value that makes it unique.. To touch the place of Jesus’s birth is known to invoke strong emotions for Christian people. The Milk Grotto, located in Bethlehem’s Manger Square, is a great place to visit after the Basilica of the Nativity. It is very spiritual and well-maintained. Do not forget to greet the Perpetual Adorers of the Blessed Sacrament, who are in continuous worship. For those couples struggling with fertility issues, it is rumored that making a wish on the cave of dust will cure any fertility problem. The Milk Grotto site is not very striking, other than its unique history, where many believe Mary nursed an infant Jesus, and a drop of milk fell to the ground. For those trying to conceive, this site has international fame to help in the fertility of those who have faith. When you visit the birthplace of Jesus in Bethlehem, you probably will also notice St. Catherine's Church. There is a passage from the Grotto of the Nativity of Jesus into the Church. The decor is quite basic, but the distinctive feature of this church is its involvement in the Christmas traditions of the region, which are transmitted worldwide. It is at this church that you can see Christmas Eve from within Palestine. This is also the church where the Latin Patriarch of Jerusalem celebrates midnight mass on Christmas Eve. Adjoining the Church of the Nativity is a lovely building with modern architecture and a cloister outside. The ceiling is stunning with its decorative arches. Go early to avoid the crowds. The Church is a beautiful Byzantine work. The caves of their basements have documented files of all the Palestinian and Israeli families since ancient times. You can also find the remains and the tomb of St. Basil here. The church was built in 1881 by the Franciscans and was last reconstructed after being damaged in 1999. It also has a statue of Christ that was offered to Pope John Paul II. The Church of St. Catherine is an ideal place to sit in peace and pray after a long day of exploring Jerusalem and Bethlehem. The Palestine Heritage Center is where you can find an extensive and well-preserved collection of Palestinian objects and antiques. It highlights the hundreds of traditional embroidered dresses of the Palestinians. 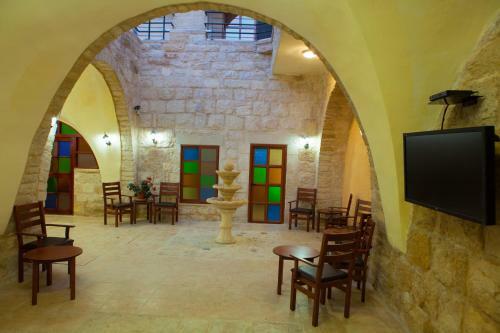 Each tells the story of its home, and you can learn the fascinating history of the Palestinian people by seeing them. One of the most enjoyable things to do here is dressing up and taking a picture recreating the time you spent in Bethlehem. The venue is very affordable and an excellent place to find a unique keepsake that will be the envy of everyone back home. You can also buy embroidered items to support the women who make them from their homes in refugee camps. The objects range from robes, shawls, shirts, bags, boxes, and other decorative items for the house. Each has a unique and colorful touch of the Palestinian women’s intricate embroidery work. Accessible from the Monastery of San Giorgio di Kotsiba, the Wadi Qelt is nestled in the rocks of a mountain. To go here, you’ll take a path that takes about two hours to travel from Jericho. The best time to go is during the mild season of spring, as the heat in the middle of the summer is scorching. The path is narrow and on the other side of it there is a high cliff. It is not recommended for those suffering from vertigo. Despite the challenging trail, it is worth it just to see the breathtaking scenery. It is an incredible place in the Judean desert, with stunning views and a scenic path into the city of Jericho. Wadi Qelt is an incredible place - a desert canyon where there is also an aqueduct used by shepherds with goats and donkeys. It is a great place to hike, just make sure to avoid the summer months, wear a headdress, and carry plenty of water. The only stopping point is the picturesque monastery of St. George Greek Orthodox Church. If you want to get away for a few hours or walk away from the monastery, it is recommended to hire a local guide to ensure safety. During your visit to Jericho, you should not miss the ruins of Hisham’s Palace. Watch the one-hour video and learn how they discovered the ruins. You’ll find them approximately two kilometers from the modern Jericho. Built on the orders of the Caliph Hasham ibn Malik il Af, this beautiful palace complex was short-lived – as soon after construction it was destroyed by a strong earthquake. Through the combined efforts of the people of the region, they have managed to unearth the palace, a mosque, pool, stairs, barracks of the guard and outbuildings that give an idea of the past splendor of the palace. The area of the palace museum complex is relatively small. Here is where you’ll find a little museum displaying the artifacts found during excavations. Among the ruins, you can still see splendid mosaics and the remains of baths or hammams. Do not miss watching the video that explains who lived there and how it was restored and excavated from the rubble of a destructive earthquake. With a ride on the Jericho Cable Car, you can travel to the Mount of Temptation Monastery, built in the middle of the mountain. A long staircase connects the platform of the gondola with the monastery itself, which offers an impressive view of the city of Jericho. The road leading to the monastery is flanked on one side by a rock wall, with small rooms for lodging the monks on the other. Photography is not allowed inside the monastery, but from a small balcony you will see the best view of the city and its surroundings. Jericho is certainly worth a visit because of the Mount of Temptation Monastery. It was constructed on the mountain where it is believed Jesus was tempted by the devil after fasting for forty days and forty nights. It is a Greek-Orthodox monastery built against the rock that overlooks and dominates the Jordan Valley, which is lined with its olive trees, orange groves, and other crops. The view is extraordinary. If you want to save yourself the trouble of an uphill walk, you can use the convenient cable car from the site of Tel es-Sultan. You will get off next to a bar/restaurant with an assortment of shops nearby. From here, a set of stairs will take you uphill to the entrance of the monastery, which cuts the mountain horizontally. You’ll need to walk into the narrow corridor and up to the monks' cells that lead to the entry of the church. There is also a dark area where a stone marks the point of the "temptation". The atmosphere here is very intense, and Christian believers venerate this place as one of the sacred spots where Jesus once stayed. The Tel es-Sultan is a site that contains the remains of one of the oldest buildings in the world. In the distance, you’ll see the monastery constructed on the mount of temptation. Be sure to make a short visit to the ruins of ancient Jericho, the oldest city in the world. It is an archeological site that is still expanding and is a must see when visiting the city. The excavations are illustrated with panels that make it easier for those who are not accustomed to archeology. The visit usually lasts no longer than half an hour, but it is worth it. The site is made up of earth and sand dunes, stairways, and large underground rooms. Since the excavation is still underway, there is always something new to see. Once you cross the border with Israel, you will immediately see a stark contrast- debris everywhere, poverty, and misery. Anyone can enter to see Arafat's Tomb, an oasis of calm among the rubble. The soldiers guarding the premises are extremely friendly and honored that you are visiting the late PLO leader’s tomb. Taking pictures is allowed but video is strictly prohibited. The mausoleum of the leader is located within the compound housing the buildings of the Palestinian government. The site is an imposing white structure that occupies a quiet and serene space, quite contrary to the chaotic ambiance of the city of Ramallah. It was built using the numbers from the life of Arafat (for example, along the avenue, the number of meters correlate with the years leading to his death, and so on). It is constantly guarded by two people who allow access to anyone visiting the site. It is a sacred memorial befitting a fallen hero and ruler, and can be quite moving. The 55 Shekels-per-person entrance fee allows the use of beach chairs, umbrellas, showers, changing rooms and bathrooms at Kalia Beach. You will need a shower after a day at this beach, and they are not far from the shore. A word of advice: Read the few, but very useful tips written on the signs facing the entrance. Do not swim belly-down, as the water is very salty, and you do not want to immerse your head. If you swim, lie on your back because you will stay afloat. This beach is the best opportunity to enjoy the Dead Sea experience. There is an enormous amount of history that occurred here- before the entire state was affected by the current strict territorial control imposed by the government of Israel. For historical purposes, Palestine evokes great imagery and opens the mind to big questions. There are beautiful landscapes along the way and a great testimony of what war and division can produce.